Just wanted to share what I have been eating the past few days because it has been fabulous and very tasty. I rummaged through my kitchen and pantry knowing I wanted to cook up something fast. I found tomato paste, pine nuts, onions, garlic and extra zucchini and goat cheese from the crustless savory pie I made last week (see recipe section). 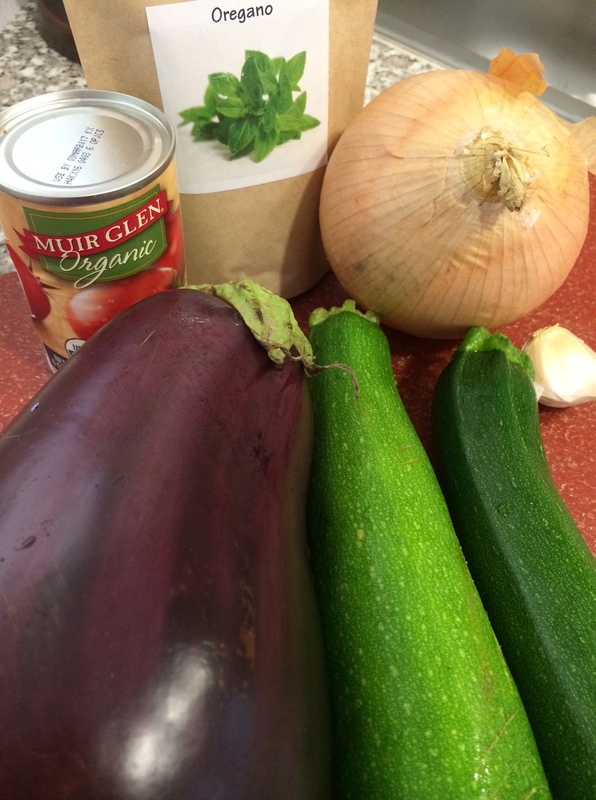 I decided to make Ratatouille….all I needed to pick up at the store was an eggplant. This recipe I am going to share is fast, healthy and so so delicious. 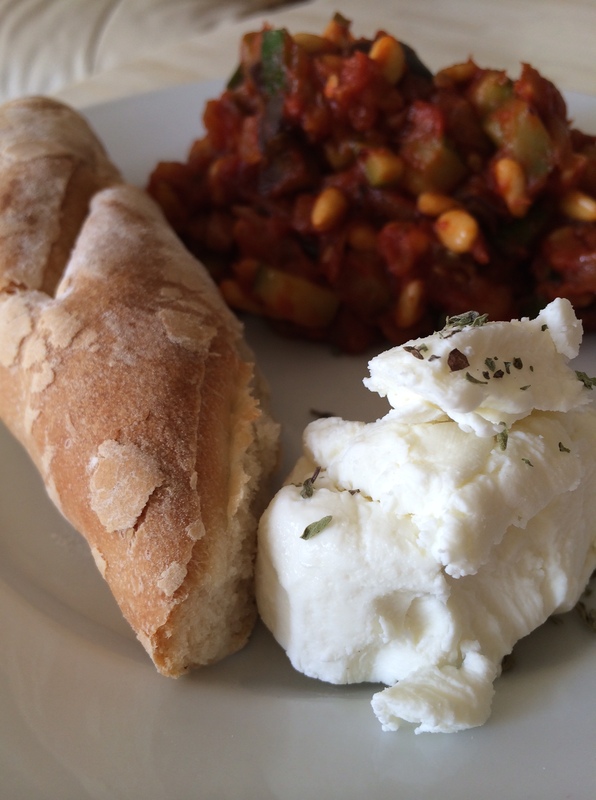 My absolute favorite way to eat ratatouille is with a hunk of bread and some goat cheese. It is sort of a deconstructed pizza with very strong and rich flavors. You could also serve this as a thick sauce for pasta or as a side to any fish, chicken or meat dish. It is very versatile. 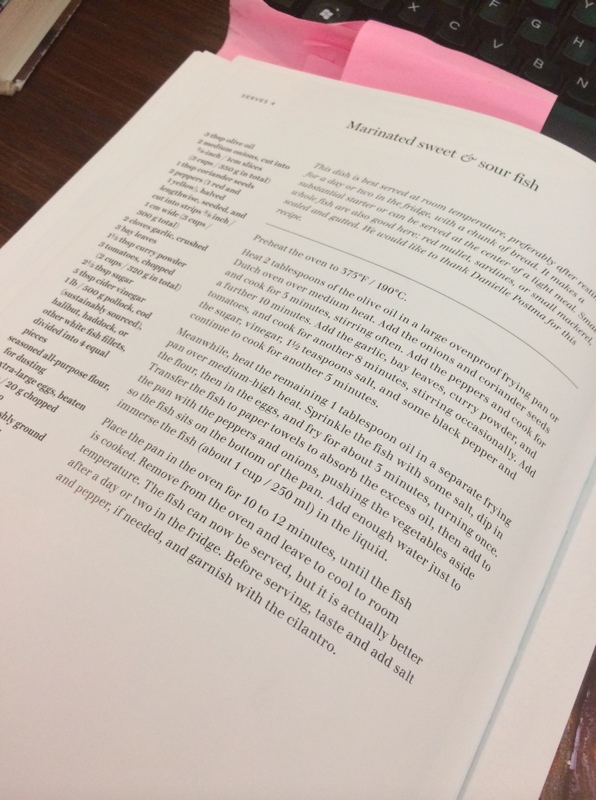 Speaking of fish dishes…the other small tidbit I wanted to share was the delicious halibut I prepared. 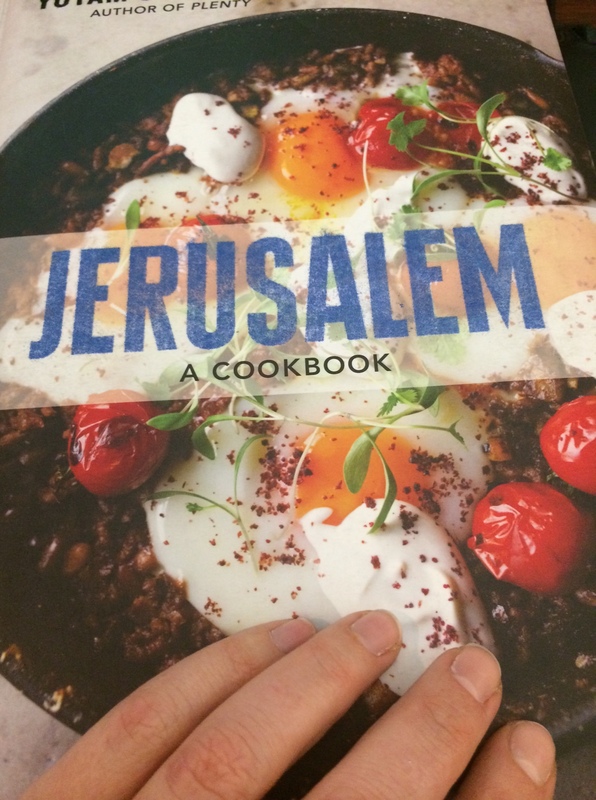 Sweet and Sour Roasted Halibut…I found this recipe is a new wonderful cookbook called Jerusalem! I am obsessed! 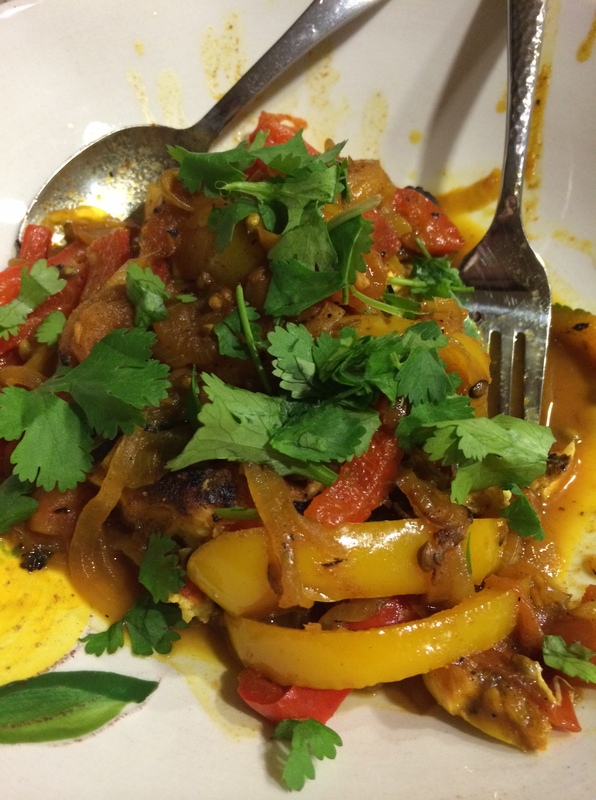 This dish combines bell peppers, cilantro, coriander seeds, caramelized onions, apple cider vinegar, tomatoes, spices and the list almost stops there….so much flavor. 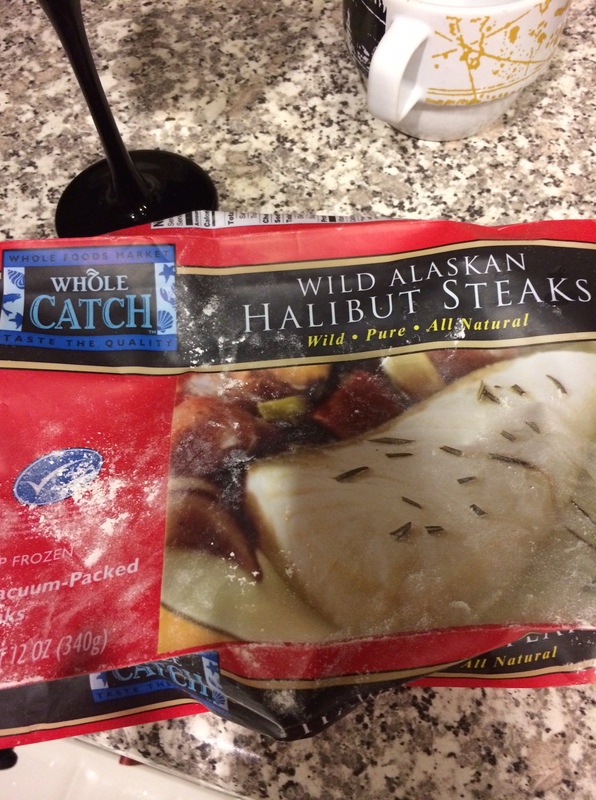 I have found that the frozen halibut from Whole Foods is pretty good quality when I am in a pinch but still want restaurant worthy meals. I will pull out a portion of fish the night before and let it defrost in the fridge. This is another topic I am really am thinking about a lot…do y’all plan your meals for the week? I have found I am much more organized and I actually look forward to what I am cooking and anticipate the meal when I have planned out what I will be making a day or two in advance! I try my best but also feel like being spontaneous some nights. Start by heating your olive oil over medium heat and cooking onions and garlic. This should take 10-15 minutes (allow for caramelization). 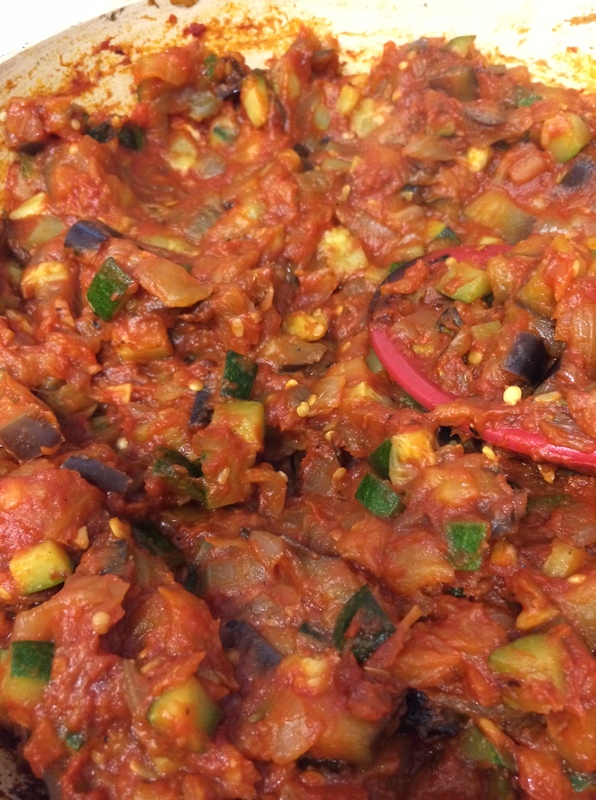 This seriously sets your ratatouille apart from the rest if you allow your onions to get a little brown. Season your onions with a little salt. Now add your eggplant and zucchini. Cook for 5-10 minutes. Then add your tomato paste, salt, pepper, and oregano. Cook for an additional 8 minutes. Meanwhile toast your pine nuts in a pan over low heat for 5 minutes or until they smell nutty. Plate your ratatouille and top with toasted pine-nuts and parsley if desired. Enjoy! Evelyn’s I agree it is therapeutic 🙂 happy happy holidays!! looks yummy Krista… I will have to make this one…and I’m exited to hear you like the new Jerusalem Cookbook… I saw a write-up about it in the Sacto Bee and I was excited about the cookbook but haven’t had a chance to see it .. now I will have to get it because you like it and I like what you like!